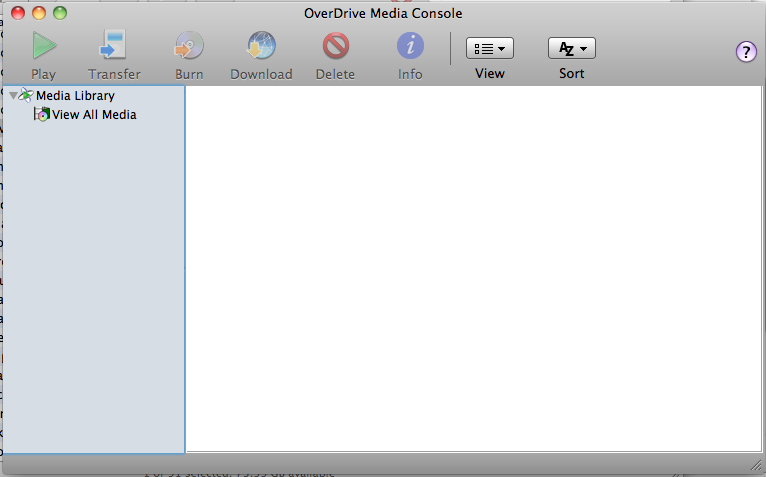 Found 4 file extension associations related to OverDrive Media Console for Mac and 1 file format developed specifically for use with OverDrive Media Console for Mac. OverDrive Media Console is a free application designed to use the OverDrive titles available for download at many public library and retail websites. Built with the user in mind, OverDrive Media Console makes downloading easy and convenient. It offers a variety of playback and title navigation options including multiple playspeeds, bookmarking, and a 'resume from furthest point played' button. For those who prefer to take their content 'to go,' OverDrive Media Console has built-in Transfer and Burn Wizards, allowing users to transfer OverDrive titles to portable devices and burn to CD in just a few clicks. OverDrive Media Console is an all-in-one solution for enjoying OverDrive titles. If you need more information please contact the developers of OverDrive Media Console for Mac (OverDrive Inc.), or check out their product website.